Do you need micro-volunteers at your organisation? Welcome to the March edition of eNews. For the last 19 years many of you have visited us at the City West Lotteries House which has been a wonderful spot for us however I’m now excited to announce we have moved into our new office. As we’ve grown over the years we’ve needed more space and we have found this at our new purpose-built office at Level 1, 3 Loftus Street, West Leederville. Some of you will recognise the address as the Beyond Bank building. For members and guests visiting us, the office is still very close to the train station and there is street parking nearby. We look forward to welcoming our members and guests into our new space and embarking on the next chapters of our journey. Thank you to all our members who are supporting National Volunteer Week by submitting a NVW grant application and Volunteer of the Year nomination, or both. Our team has been busy sorting through these amazing nominations and applications and as always, we are amazed at just how many extraordinary volunteers and volunteer organisations there are in our State. We can't wait to share some of their stories soon! All grant applicants have been notified of the outcome of their application. If you have nominated for an award, the judging panels will take place up until 17 April and we will announce a full list of finalists in the days that follow. The WA People’s Choice ‘Spirit of Volunteering’ will be announced before that date and we encourage you to support the finalists by voting here. Late last month, over 60 guests including WA Volunteer Managers, attended a very special launch of the social and economic sustainability of WA's rural volunteer workforce report. This report, funded by Bankwest Curtin Economics Centre (BCEC), presents the findings from the most recent study of rural volunteering in WA and examines the challenges facing volunteer involving organisations and individual volunteers across all sectors. It also offers recommendations for policy and practice and reports on how individual volunteers manage their volunteering, which is relevant to both rural and city organisations. A big thank you to Curtin University researchers Professor Kirsten Holmes and Associate Professor Amanda Davies for presenting the findings in such an engaging way. I encourage you to have a read of the very interesting findings here. Volunteering WA is excited to announce that tickets are now available for purchase for the WA Volunteer of the Year Awards Gala Presentation Dinner, to be held during National Volunteer Week on 22 May 2019 at Crown Perth. The 2019 WA Australian Volunteer of the Year Awards are proudly presented by Volunteering WA. The valued individual Award Partners are: Adcorp; Bankwest, Community News, Department of Communities; Office of Multicultural Interests; Lotterywest, Silver Chain and YMCA WA. For more information about the awards please visit the website here or email nazreen@volunteeringwa.org.au. This year we are celebrating 30 years of National Volunteer Week. We need your help to commemorate this important milestone by sharing a little of your volunteering story via a short survey! If you have a photo of yourself volunteering over the past 30 years, leave your contact details at the end of the survey and Volunteering Australia will get in touch with you. The 30 Years of National Volunteer Week Survey closes COB Monday 8 April and can be found at here. If you have any questions, please contact Volunteering Australia on 02 6251 4060 or at marketing@volunteeringaustralia.org. Volunteering Australia and Justice Connect have made a joint submission to the Australian Human Rights Commission’s National Inquiry into Sexual Harassment in Australian Workplaces: Everyone’s Business – whether they’re paid or unpaid. You can read the submission and full media statement here. With the help of a Research Committee, members from WA universities and the Department of Commerce, Volunteering WA encourages and supports research into volunteering related issues which informs good practice and evidence based decision-making. If your organisation wants to follow the latest research into volunteering related issues from around the world, we encourage you to take a look at the Research News here. To sign up to receive alerts regarding research please email Info@volunteeringwa.org.au. 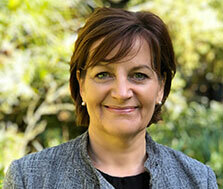 In this regular feature of the eNews we will showcase one of our hardworking and dedicated Board Members. Without their leadership and guidance, we wouldn’t be able to achieve all the successes we do. Thank you to our Board. 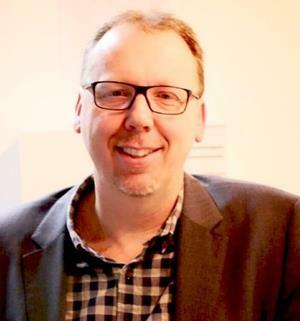 With over 20 years’ experience in the marketing and advertising field, developing and implementing strategies for clients across a wide range of industries, David will assist Volunteering WA in promoting the cause of volunteering and the benefits it provides to the community and individuals alike. David’s previous involvement with Volunteering WA included sitting as a Director for six years and being appointed the representative on the national Volunteering Australia Board. He plans to contribute to the Board by focusing on business strategies and operations with a view to create a sustainable and diversified business model along with promoting volunteering through marketing strategy and partnerships development. The Corporate Volunteering team is thrilled to announce our new partnership with BHP Billiton and we look forward to working together. 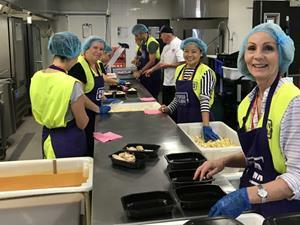 The Resourcing team from BHP attended their first Volunteering WA hosted corporate day at Foodbank WA, where they spent the day working in the community kitchen packaging pre-made meals to be distributed to people living with food insecurity. Please join us in welcoming BHP to the Corporate Volunteering programme. We look forward to many valued volunteering sessions of doing good in our communities. Our regional hubs have been busy this month and welcome our members and the community in the Pilbara, Kimberley and Wheatbelt to contact them with any enquiries. 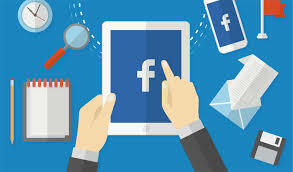 We encourage you to follow the hub Facebook pages to see local activity in the area and also to view what training sessions are coming up. 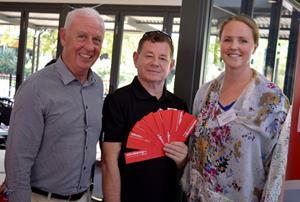 We are delighted that there have been many regional nominations for the WA Volunteer of the Year Awards. It is a testament to the hubs spreading the word in our regional communities where the need for volunteering is so high and where there are so many worthy individuals that deserve to be recognised. We’ll be announcing finalists soon on our website. The Stirling Volunteer Hub has moved. It is now based at the Metropolitan Migrant Resource Centre located at 14 Chesterfield Road in Mirrabooka. If you're thinking of volunteering but unsure where to start, come visit our coordinator Keith on Thursdays or Fridays between 9am - 3pm. 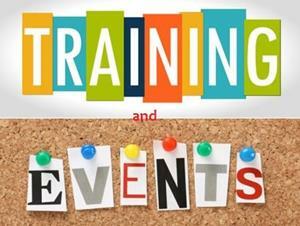 We have some fantastic training coming up in the next few weeks. 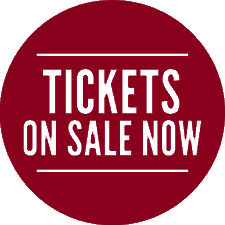 Please visit our website here for a full schedule of upcoming sessions however we bring your attention to two that are very popular and filling up fast. Please be sure to pass this information on to the IT team in your organisation! The Woodside team is willing to answer your questions and therefore tailor the session to the needs of the attendees. Places are limited, so if you are having difficulties with your registration, please e-mail your interest in attending to laura@volunteeringwa.org.au. This workshop will eliminate the draining and expensive process of constant recruitment! Don’t let volunteers second-guess their decision to be with you - learn contemporary ways of retention by looking after volunteer interests. The cost is $88/$145. Register here. Volunteering is a valuable asset to local governments. Volunteer programs not only support and enhance the services you provide, they promote social cohesion and inclusion and contribute to the well-being of community members. You are invited to join us and find out how we can help you build stronger communities through volunteering. This session is free for Local Government employees. Register here. The Corporate Team are taking expressions of interest from members who would like to participate in the next Step Into Corporate Volunteering Session in early April. With even more corporate volunteers waiting in the wings ready to support community organisations just like yours, our team want to support you to be able to facilitate a team or skills based volunteer. To register your interest to participate in this free workshop, simply email corporate@volunteeringwa.org.au. Guild Volunteering at UWA runs two-hour micro-volunteering sessions on Mondays where a group of up to 15 university students help with all kinds of activities for different organisations. If there is anything your organisations needs done for example packs for conferences or large events, packing care packs or any other manual tasks suitable for groups of volunteers, please contact microvolunteeringuwa@gmail.com. Also, feel free to list the position on Volunteering WA’s website because there are always volunteers willing to jump in and help! 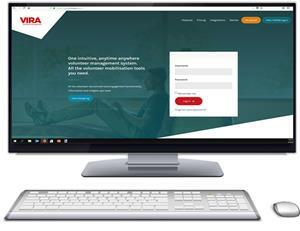 VIRA is Volunteering WA purpose-designed volunteer management system, built from the ground up - by volunteer co-ordinators, for volunteer co-ordinators - to simplify and streamline every facet of volunteer management, from recruitment and administration, to mobilisation and reporting. Have you watched our short VIRA tutorial yet? You can view it here. It gives a summary of just how VIRA can help you and your organisation. We also regularly hold free VIRA training events and our team is only too happy to help. Welcome to our new monthly feature ‘Member of the Month.’ If you’d like your organisation to be featured please email nazreen@volunteeringwa.org.au. This month we present to you our valued member Riverview Community Services (RCS). Through their many programs and thanks to their valuable volunteers from Riverview Church and the general public who generously give their time to engage with the community, RCS provides crucial practical assistance and personal support to those in the local community who are experiencing a wide range of challenging life circumstances. For those experiencing financial hardship, RCS provides material aid through its Emergency Relief program and provides counselling and support to community members struggling with debt through their Debt Centre (in partnership with Christians Against Poverty). RCS also provides practical assistance with basic household and yard chores through their Street Teams, and offers legal, administrative and psychological assistance to asylum seekers in Perth with their Asylum Seeker Hub, in partnership with other local agencies. Volunteers are also involved in the national Community Visitors Scheme, which aims to support elderly people in aged care facilities who may be at risk of social isolation, through regular visits where both parties often develop firm friendships. Furthermore, volunteers regularly contribute in cleaning and protecting the environment in the Earth Matters Green Team – you might even have benefited from their recent Scarborough beach clean-up. Finally, every year, they put a smile on many kids’ faces in schools, women’s refuges and even overseas, with their Christmas gift giving project (Gifts of Hope), enabled by the generosity of the Riverview Community. Riverview Church volunteers aim at promoting and facilitating friendship with people, and, through their good-will and dedication, they implement positive change in the local community, one story at a time. 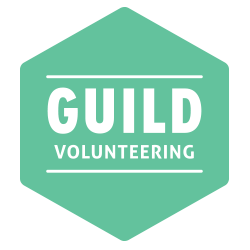 Do you need help finding volunteers to fill a position in your organisation? Our Saturday feature, only for members, advertises your position on our Facebook page which is followed by over 4,400 followers. Email nazreen@volunteeringwa.org.au to promote your volunteer vacancies. Please ensure your volunteering role is on VIKTOR so that we can link the Facebook post straight through to the Volunteering WA website. The information and materials presented in this newsletter and at the web site are distributed by Volunteering WA as an information source only. While every effort has been made to ensure the accuracy and completeness of the information, no guarantee is given nor responsibility taken by Volunteering WA for errors or omissions.